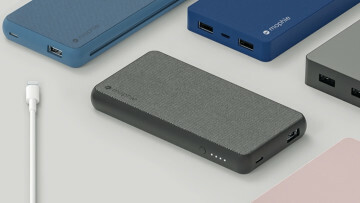 Mophie has been around for a while and has amassed quite an assortment of options when it comes to power accessories for smartphones. 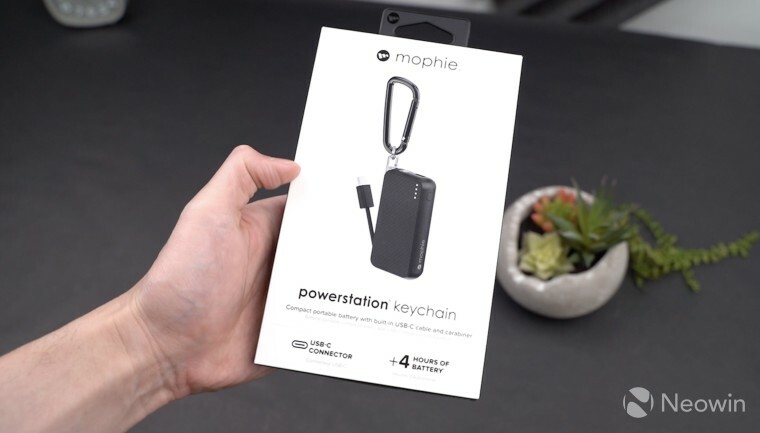 With it's latest, the powerstation keychain, it takes things in a new direction, offering a portable battery bank that is extremely compact, well designed, and convenient. The powerstation keychain measures in at 3.15 x 1.5 x 0.6in (80 x 39 x 15mm) and weighs 2.1 ounces or 60 grams, according to the firm's website. A majority of the body is made from plastic but the part that connects to the carabiner is made from metal. The front and rear have a soft touch plastic that is slightly grippy, which should prevent the small battery from accidentally popping out of your hand, but won't get caught on materials when pulling it out from a bag or pocket. There is a button on the side that can be pressed to check how much charge the power bank has. There are four white LEDs, so you won't get the most precise reading, but it should give you a general idea of how much charge is remaining. By pressing the eject button on the top, you can release the metal clip portion, which will reveal the USB Type-C plug. This can be connected to any compatible device for a charge, making this a convenient all-in-one solution. If there is a downside to the unit, it would be the relative size of the internal battery. The device only offers 1,200mAh of charge, which means it won't be able to fully charge up most modern handsets on the market. 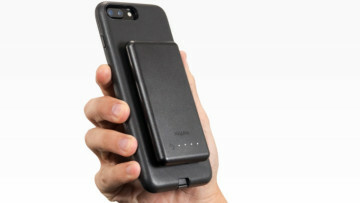 With its small size, this is understandable and Mophie is well aware of this, which is why it points out on its product page that this is an emergency charging solution. If you have any questions, feel free to comment down below. 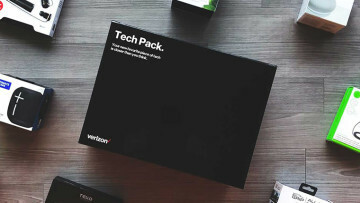 Otherwise, you can pick up the battery from the company's own website, which is currently sold out, or from Verizon, for those in the United States for $39.95. Jun 7, 2017 · Hot!